Dubbed the “Olympics for nomads”, the biennial World Nomad Games 2018 is an extraordinary and chaotic spectacle of dozens of traditional nomad sports. For seven days, the shores of Lake Issyk-Kul – the world’s second-largest alpine lake – will be the stunning setting for action-packed displays of strength and incredible showmanship that include wrestling, javelin and archery – all from on the back of a horse – and the brutal but popular sport of Kok Boru, a game similar to polo where two teams of horsemen compete with one another to throw a heavy carcass of a headless goat inside a goal at either end of a large field. This is not a choreographed show for the benefit of western tourists – the World Nomad Games are as authentic and genuine as they come. 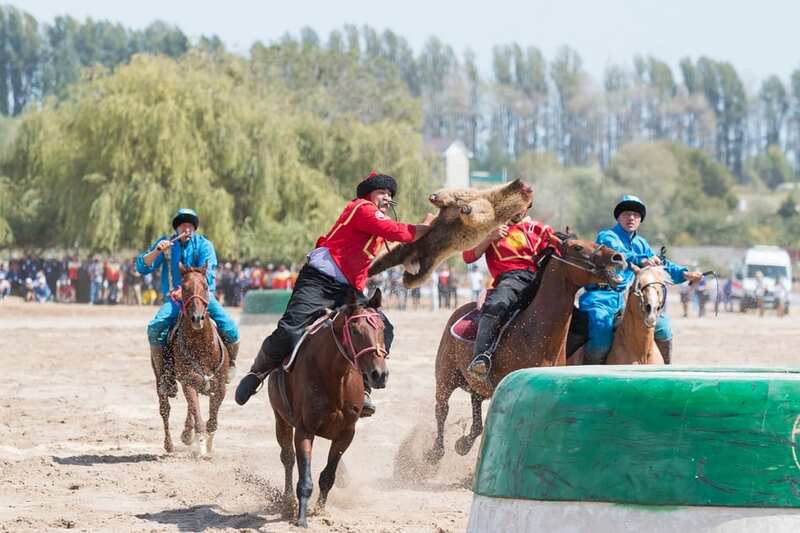 Upping the ante a thousand notches from the football World Cup, there’s no place for Neymar-style antics in this tournament where men are pulled off charging horses, women wrestle each other to the ground and trained eagles ruthlessly hunt their pray. If all this sounds a little too rough, the World Nomad Games also include slightly less spectator-friendly mind games where intellect and strategy reign supreme, colourful cultural exhibits where yurt-life and local food can be sampled, and an ethno-cultural festival including music, dance, fashion and a bazaar. 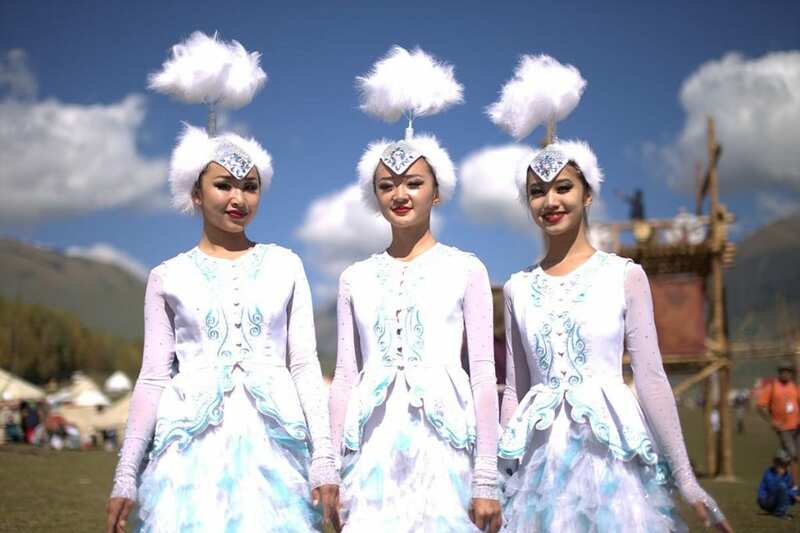 The World Nomad Games 2018 are quite new with only two previous editions – in 2014 and 2016. Nevertheless, they have brought the natural beauty of Kyrgyzstan and the pride and hospitality of Kyrgyz people to the forefront of the international media. Some 1,200 competitors hailing from over 62 nations took part in the last games. A spectacular opening ceremony with fireworks and stunts on horseback will take place on the first day, and again a closing ceremony on the final day, both of which are ticketed while the games themselves are all free. Don’t expect a flawless organisation, hordes of camera-wielding tourists, first class facilities and English spoken throughout. 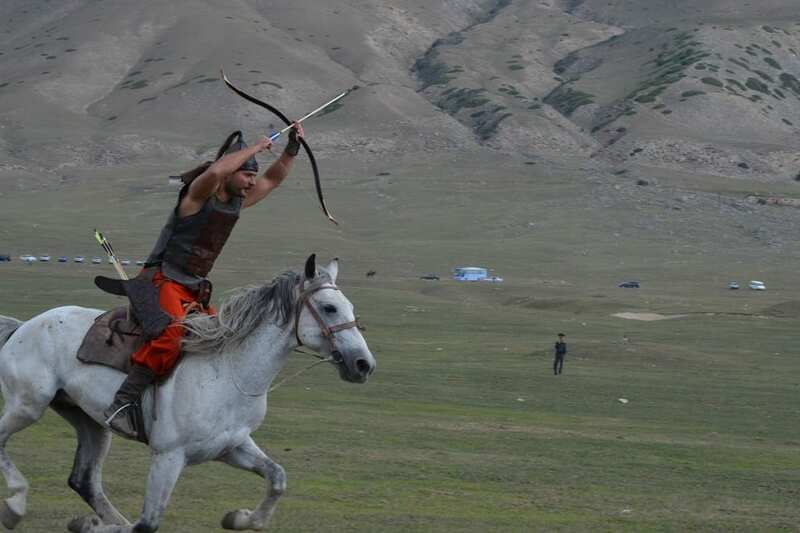 Do expect to be immersed in unadulterated nomadic culture with heart-pounding action, mind-blowing displays of skill and strength, around-the-clock photo opportunities, warm hospitality, colourful yurts and dress and unforgettable memories. How to get to the World Nomad Games 2018? Most visitors to the World Nomad Games will arrive in Kyrgyzstan’s capital Bishkek’s international airport from where they travel overland to the town of Cholpon-Ata where the main venue is located. From there, bus services run to other venues along the shores of Lake Issyk-Kul. A marshrutka (public minibus) or shared taxi from Bishkek to Cholpon-Ata takes about three to four hours. While more expensive but still very affordable, a private taxi will be much more comfortable. If travelling to the games, why not stay an extra day to explore Bishkek, Kyrgyzstan’s quirky capital, or sample the great outdoors on the back of a horse? Where to stay at the World Nomad Games 2018? One of the better places to stay in Cholpon-Ata is the Kapriz Issyk Kul resort while for a budget option, Apple Hostel is recommended. Book your accommodation ahead of time. 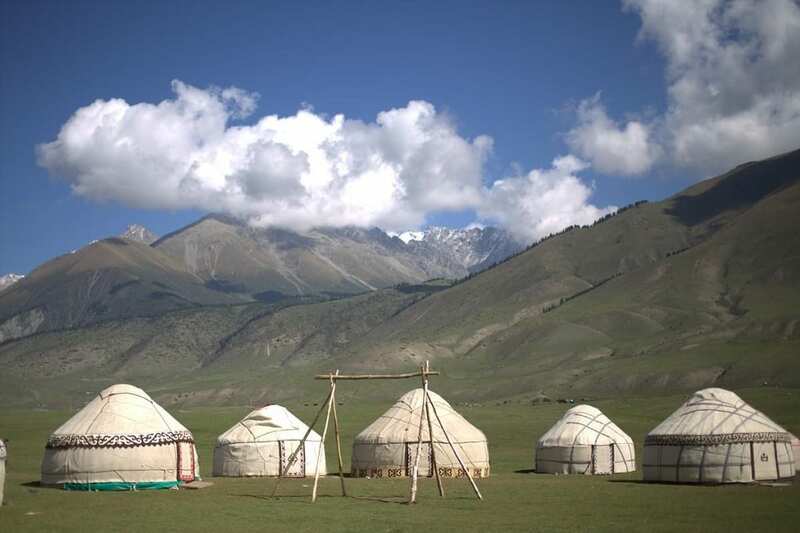 Alternatively, stay in a yurt rented out by enterprising locals – but choose your location wisely as traffic can be very busy during the World Nomad Games 2018. 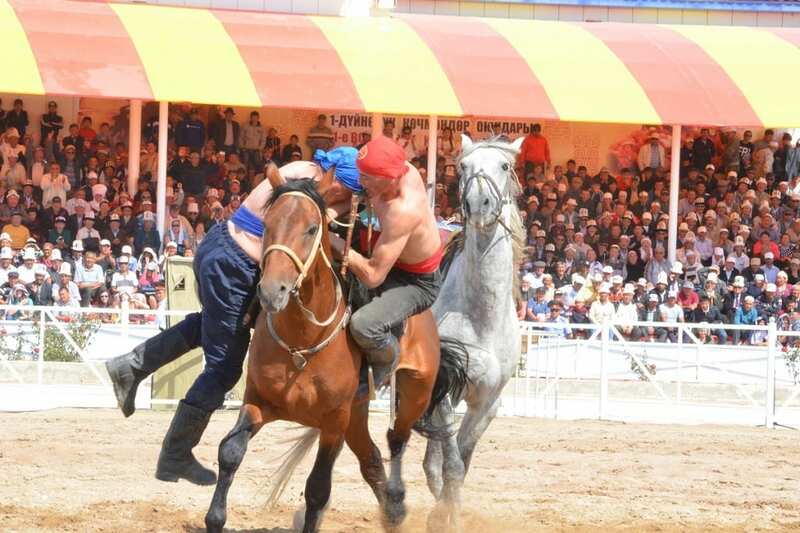 The events take place in or in the vicinity of the town of Cholpon-Ata, with most horse games held at the Hippodrome and wrestling events inside the Gazprom Sports Complex. Entry is free but go on time as the venues tend to fill up after which no more spectators are allowed inside. 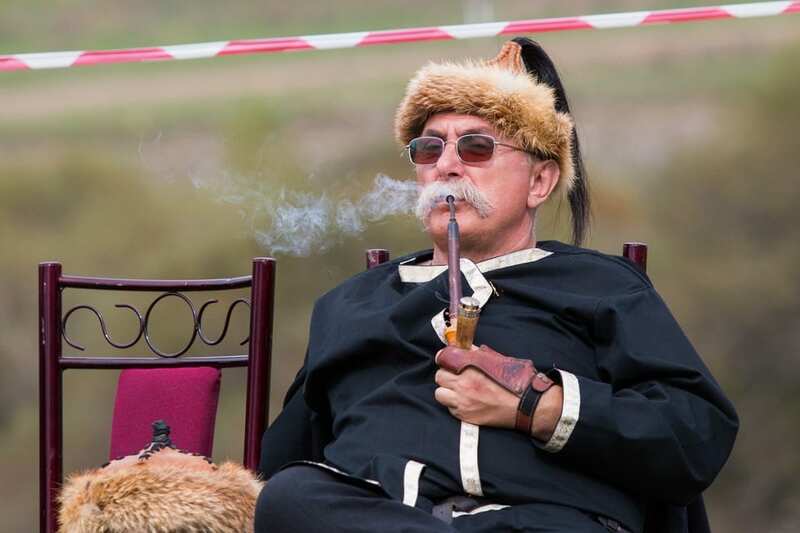 The activities of the ethno-cultural festival take place in the Hippodrome and in the mountains at Kyrchyn gorge, some 52 km from Cholpon-Ata. The trip to the gorge can be quite long when many people are heading to it, so plan it as a day trip to make it worthwhile. 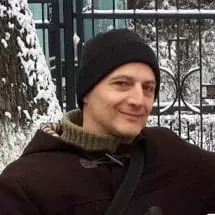 Public buses should be running between the venues as well as marshrutkas (public minibuses) but taxis are readily available – make sure you negotiate and agree on a price before you enter, especially if you don’t speak Russian. Tickets are needed only for the opening and closing ceremonies of the World Nomad Games 2018 (held at the Cholpon-Ata Hippodrome) and can be bought at post offices in the capital Bishkek or purchased through the official World Nomad Games mobile application available on Android and iOS. Prices range between approximately 400 to 5,000 Som.